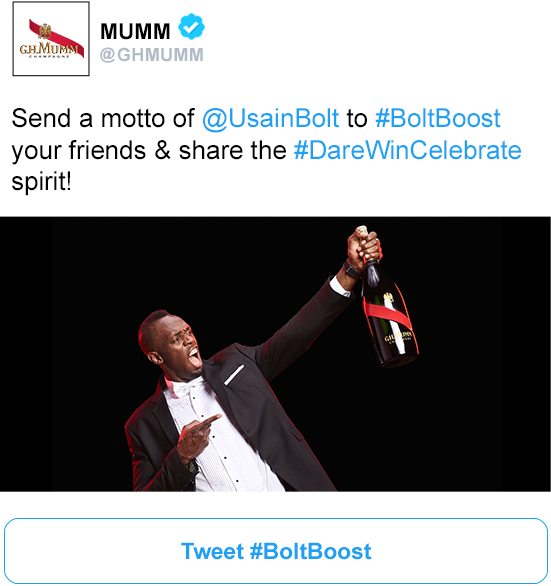 Tweet as Usain Bolt does & share the #DareWinCelebrate spirit! Mumm, official champagne partner of Formula E embodies the DWC motto of the House. A partner of the world’s most exciting and innovative events: Kentucky Derby, Melbourne Cup, MET South Africa.